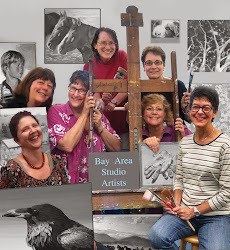 Jeanette Baird's Painting Studio: What's On My Easel? 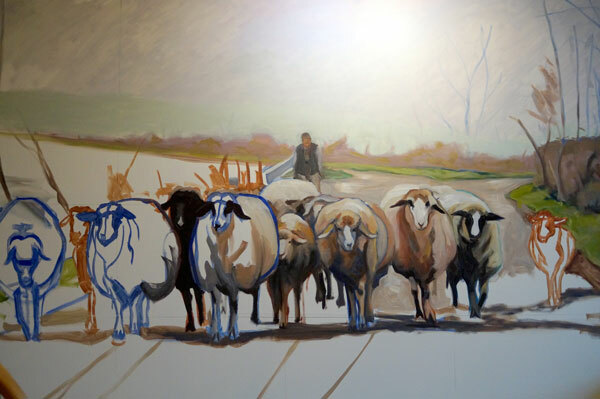 I'm wondering if it's just long fur and the shepard is taking them for sheering or if they may be pregnant? I got the photo reference from a website called "Paint My Photo" and it reminds me of some rural scene in England or Italy. 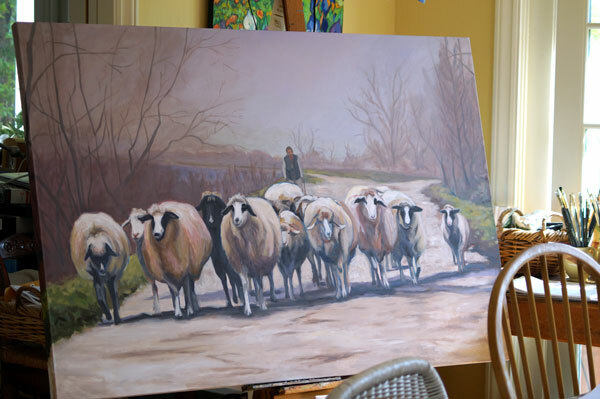 I began sketching out the painting on a much smaller canvas but it didn't have the impact of the sheep coming towards the viewer. I am very happy that I started over with a much larger canvas. Here is how far I have taken it today. There is still some work to be done on their faces and in the trees. But overall I am liking the scene!